Few things are more frustrating than finding out that you can’t get the latest 40-80Mbps Fibre-to-the-Cabinet (FTTC) broadband service installed because the local Openreach (BT) Street Cabinet is full to capacity, which can sometimes result in a lengthy wait for an upgrade. Over the years we’ve received plenty of complaints and questions about this issue, particularly since we ran a related article to highlight some of the top reasons why people can’t order an FTTC (VDSL2) connection despite being covered by the service (here). Take for example the case of Marlon, whose local FTTC cabinet in Eastleigh (Hampshire, England) has been full since February 2015. As a result Marlon can only order a bog standard 4Mbps capable ADSL based broadband connection until the issue is resolved, assuming it ever gets resolved. Suffice to say that cabinets which run out of spare ports / lines are a known bugbear, although in the grander scheme of things the volume of such incidents is said to be low. Furthermore it’s often in Openreach’s interest (both financially, and from a reputation point of view) to keep these issues to a minimum, but practical and economic realities can also present some obstacles. How Does Openreach Handle Full Cabinets? At this point it’s important to understand that Openreach can deploy Street Cabinets of varying different physical sizes and each of those will support a Digital Subscriber Line Access Multiplexer (DSLAM) network device, which can usually handle several Line Cards. Street cabinets tend to hold up to 4 or 6 line cards, which depending upon cabinet size can usually cater for up to 288 subscribers when full (per cabinet). 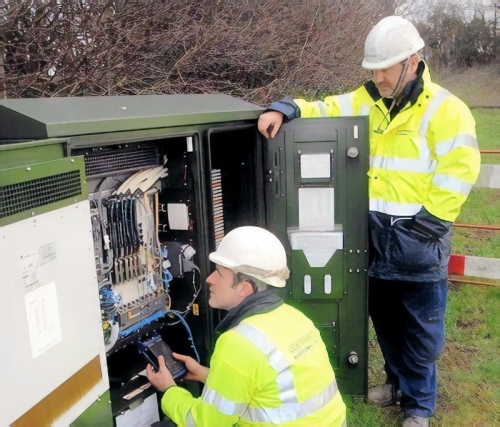 However Openreach has recently introduced the ability to upgrade their large Huawei street cabinets (H200), which increases customer capacity to 384 (here). At this point some people may complain that Openreach occasionally appears to install a much smaller FTTC cabinet than the number of premises or level of local demand in a specific area might suggest they need. Indeed we’ve already seen how uptake can sometimes run ahead of expectations (example), but of course it can just as easily run well below. On the question of determining which cabinet size to use, Openreach clarified that they first consider how many customers are served by each cabinet and then forecast the likely demand based on a “range of data” available to them at the time. “We follow exactly the same principles whether a cabinet is part of our commercial roll-out or a BDUK project, with an emphasis on achieving the best value for money,” said the operator. Sometimes all Openreach needs to do in order to add more capacity to a cabinet is to simply introduce an extra line card, which should normally only take a few days. But you can only add so many of those cards before the space is consumed and thus ISPreview.co.uk set out to understand how the operator approaches more complex upgrades. “Openreach has a dedicated team responsible for proactively monitoring take-up across all of our fibre cabinets. The team considers a range of data to pinpoint exactly where and when more capacity is needed, and in the vast majority of cases we’re able to increase the capacity of a cabinet in plenty of time before it fills up. On a small number of occasions, cabinets do reach capacity before we can upgrade them, usually as a result of an unexpected spike in demand or difficulties we face in adding the capacity needed..
Perhaps unsurprisingly Openreach would not tell us how many FTTC areas had currently run out of capacity, but they did give us an idea of time-scale for the “much smaller number of cases” where civil engineering work is required to install more equipment (e.g. adding an additional cabinet). In those cases Openreach can be dependent on a number of external factors such as wayleave agreements, planning and traffic management, or the need to employ specialist skills. As a result the operator told us that it takes around 6-9 months on average to resolve such problems. One often overlooked challenge in all this is that areas being upgraded to FTTC through the Government’s State Aid supported Broadband Delivery UK programme, which usually reflects a mix of public and private funding, cannot benefit from state aid when needing to upgrade a cabinet that has reached full capacity. “The cost of increasing cabinet capacity is met entirely by Openreach whilst gain-share mechanisms continue to apply to any connections enabled by that investment,” said an Openreach spokesperson to ISPreview.co.uk. The purpose of the BDUK scheme is to help infrastructure operators’, such as Openreach, to roll-out their superfast broadband networks into areas where it would have otherwise been considered commercially unviable to achieve via private investment alone. The inability to use State Aid for such upgrades can thus present a few problems, not only economically but also with how this impacts whether or not an area (i.e. one that has had FTTC installed and then reached full capacity) should remain marked as having “fibre available” on the local authority’s coverage maps. On this topic it would be all too easy to say that BDUK / BT could have spent more to ensure plenty of future capacity, but uptake could just as easily fall well below the forecast and this might have made the roll-out more expensive at the cost of lower network coverage. Most of the time Openreach will get their forecasts right, but that is little comfort to those unable to order FTTC due to a full cabinet. At this point we should add that the AVERAGE cost per cabinet completed to date (FTTC only) is currently £26,500 under Phase 1 of the BDUK programme (here), which has already helped to make superfast broadband (24Mbps+) available to 90% of the UK. It’s not a cheap thing to add, especially in small rural communities. Finally, we asked Openreach what sort of industry or policy changes might make it easier for them to add new FTTC capacity into BDUK supported areas that have full cabinets. Openreach said they’d welcome any changes to speed up and simplify external factors like complex / expensive wayleave agreements (the Government is currently trying to standardise these, but it faces a tricky fight with land owners), planning and traffic management. According to recent information released by Openreach to ISPs, at the time of writing some 1,970 out of 77,033 live cabinets were full to capacity and awaiting upgrades (around 2.6%). would be great if they offered to move people to closer cabs if their cab was full (yes i understand this is hugely awkward from). Agreed, I have one at each end of my street, Mine is full the other is not – no cigar. I was going to say, BTO have kit there for a service they refuse to sell!? Far out! I’ve noticed a few PCP cabinets around Aberdeen that have extensions built on the side of them. Presumably these are to increase capacity for fibre customers? The extensions can be two options one an additional fttc multiplexer or FTTPOD. They are stand-off shells: they supply more room for blocks to connect e-side and d-side copper cables. I’m unsure what an FTTC multiplexer is, I presume you are referring to the WDM kit that can be used. As far as I know this uses space in an existing FTTC cab as it needs powering and the fibre goes there anyway. There are no powered components in the PCPs. As far as I was aware FoD doesn’t use cabinets. Plant is all underground or on poles. It follows the same design as standard GEA FTTP. @Ignition: Is any ISP actually offering Fibre-on-Demand? IDNet and BT Business to name a couple. You will mainly find small, niche ISPs offering it for businesses on an ‘a la carte’ basis. I am also pretty sure Zen and AAISP will also provide it (although they don’t actively advertise it). IDNet no longer sell it and have not since the stop sale they even have a web page saying they can not take new orders. And which username were you posting under before? IDNet do sell it again – phone them and see. 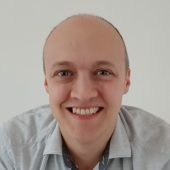 I believe also Claranet will provide it under a bespoke build. and that is why you can NOT PLACE AN ORDER Yet every other page for Fibre products be it FTTP or FTTC you can. PS You can also leave out your regular you are someone else accusations. So this is strange – you randomly start posting here a few weeks ago, primarily trolling on any story involving BT. Perhaps I should call you Karl, Carpetburn or Deduction? As I said, phone IDNet – they can and will place an FoD order. The username is very fitting by the way. Insults and accusations do not make you or your argument right. Ive already shown it can not be ordered. You’ve shown nothing, other than an outdated website. IDnets website is outdated really??? Why would you recommend people call a company for a product who have an outdated website? Because it’s an old page that’s not been removed, but there are no hyperlinks to it from the present IDNet site. IDNet can and do provide FoD. The proof is in contacting them. IDNET do not sell Fibre on demand all their AVAILABLE products are listed at the bottom of their website pages. FOD is not one of them. I do not need to phone them either considering my brother worked for them until 2 weeks ago. Claranet likewise do not and their is no webpage on BT Business to purchase FOD either. I doubt you can an point to a single ISP with FOD available to buy on their website. And justifiably so, given that early completers like Rutland suggest strong take-up elsewhere in the fullness of time. If BT refuses to add capacity to full cabinets and neighbouring competitors overbuild, hard luck BT. More silly conspiracy theories. Do you ever stop whinging about BT? Instead of moaning why not do something positive? The other limiting factor is tie cables between the PCP and the DSLAM cabinet. There may not be sufficient space in the duct for additional tie cables, or worse no more room in the PCP for the connector blocks thus requiring a cabinet reshell. Have seen extra duct and second cabinets installed round here. We have had the full spectrum of capacity issues so far. We’ve had waits for a stand-off shell and for a second DSLAM, along with waits for line cards and ties in between. Have even had to wait for d-sides and e-side Scott basic telco. All good fun. So… you were in an “unviable area” and they can’t connect fast enough? They couldn’t for a while, no. 2 Huawei 288 cabinets and 10 or 11 line cards later and we’re now in decent shape. How long did those upgrades take? Our situation isn’t the best guide to timelines. Due to it being featured on national and local media it probably received somewhat closer attention than is normal. Shorter or longer than the quote of “As a result the operator told us that it takes around 6-9 months on average to resolve such problems.”? It took nearer to 18 months for a family member of mine. Although I’m now a happy FTTC user, we had a very frustrating wait around here because it was over three years from when our exchange was upgraded with FTTC capacity to when the cabinets were done. (We’re less than 1km from the exchange, in a town.) The availability checker would thus report AO (Accepting Orders) but in fact you couldn’t place an order because none of the necessary cabinets had been installed. I suspect some attempt to massage the figures, being able to claim that an exchange had been enabled thus meeting some target or other, whilst in fact none of the local subscribers could order FTTC. That was a myth 5 years ago, and remains as such today. The numbers have always been restricted to those on upgraded cabinets, not whole exchanges. They weren’t always clear about what percentage of the upgraded properties could get superfast (25Mbps+) speeds, but that tends to be clear nowadays. What exchange? We can find out when cabinets went live. What was a myth? The delay certainly occurred – Wallingford exchange. It was just a very annoying hole in the system. If you tried to order FTTC you were told it wasn’t available and referred to the availability checker to get an estimate of when it would be available. If you went to the availability checker it told you that it was available. It was thus both impossible to order it, and impossible to find out when they were going to finish the job off. Exchanges become AO on the Openreach list after the first cabinet is live. Other cabinets then follow. You should have posted the issue here to see if anyone could have helped. Some insight here – nearly all the cabinets done under BT’s commercial deployment were completed between March – August 2012. The only exception is cabinet 19 which will be activated by the end of the month. The remaining cabinets (covered by BDUK Oxfordshire) were mostly done in 2013 and 2014. Cabinets 3 and 26 were completed in 2015 and 17 and 28 in 2016. Cabinets 20 and 29 are still to be done under BDUK and due to be completed in the next 9-12 months. The myth is the “attempt to massage the figures” in order to “claim that an exchange had been enabled thus meeting some target or other”. Exchanges always went live with a subset of their cabinets enabled. The targets being met, and the numbers being published, were all related to the number of subscribers on the cabinets that were upgraded, not on the exchange as a whole. The subscribers on cabinets that weren’t upgraded didn’t get included in “the figures”. The results you’ll have received will have depended which “availability checker” you went to. Some of them, especially in the past, only gave results back for the whole exchange. They weren’t particularly useful – and definitely annoying if your cabinet wasn’t live. It was easy to think that BT had ignored you. The most useful checker ( at http://www.dslchecker.bt.com/ ) could give detailed information that was specific to the phone number, with details for the specific cabinet. That checker includes a link to an “address checker” which gives the second-best results. When using the “address checker”, but entering just the postcode, it gives a list of addresses … and you can check estimates for every property. Sometimes, however, the database records for a property are wrong. Posting on the forums at TBB is a good path to follow to solve individual errors. When holes like that occur, they are indeed annoying. However, the database hasn’t been systematically wrong for whole exchanges. – Out of the 29 cabinets currently listed for the exchange, only 9 were included in the initial plans. – 1 cabinet went live in November 2012, completing the original plans. – The remaining cabinets were not viable commercially, so waited for subsidy from the BDUK project. One cabinet has subsequently become part of the commercial project, and is due soon. JohnWinters is another one. Just inventing facts to blow off steam and have his rant. Availability is worked out at CABINET level not exchanges. I was perfectly clear that it was merely a suspicion on my part about the number massaging – there is no need to resort to unfounded abuse. I invented no facts at all – merely reported what actually happened. I did use the BT checker, and used it by actual phone number. It reported that FTTC was available; actually trying to order it resulted in a not available yet message. This situation went on for more than three years. The same thing applied to everyone I knew in the town who tried to order it. I wouldn’t mind if only the information promulgated had been accurate. If the checker had said, “You can’t get it and you can’t expect to get it until …”, it would have been much more useful. Most of the new cabinets were installed in June 2014, and as I said before, this was more than three years after the BT availability checker was reporting that FTTC was available on the specific lines connected to those cabinets. Sorry if the facts don’t coincide with your desired world view, but to resort to abuse is just pathetic. I don’t think @JohnWinters invented any facts at all – just reported his suspicion on targets, and his real problem with getting a service. In the early days, the checkers only reported back when the exchange was due to be live, which coincided with the initial batch of cabinets. If your line/cabinet was not in that first batch, there was no way to find out when your specific cabinet was due – or even if it was included. There was plenty of room for frustration. By the dates above, did you manage to finally order an FTTC service around the same time that your cabinet really went live? This bit cannot be right though. The exchange was upgraded for FTTC and ready on 20 April 2011, but the first FTTC cabinet went live on 13 March 2012. If you were using the checker on the Openreach website, then this just reported the exchange availability and not the actual cabinet availability. How can an exchange be available and not the first cabinet? Because you need to connect the cabinets to an exchange? As far as I am aware an exchange becomes AO only after the first cabinet is enabled. We have a community action group to get broadband to an estate in Haydock, St Helens where we get around 1Mbps through ADSL. Finally our cabinet (cabinet 88) started accepting orders on Saturday morning and by Sunday night it had reached capacity and no one else can place their order. Credit to BT, by Tuesday night they had added an additional card in the cabinet and it showed capacity again. That is very responsive. I have just had a frustrating experience… moving to a new house, which I knew the cab was full (Banbury Cab 71), however being persistent I have been checking the ADSL Checker every day. Then last week it showed as available – so I got my home move order in and was pretty chuffed with myself! Got email confirmation too… all good. Next day get an SMS from BT … order cancelled due to no availability in the cabinet! Spent around 90 minutes on the phone to them (mostly on hold), turns out there was an error on the order now, and definitely no capacity, even though there was when I placed the order and received confirmation. Unless you are switching to a cable provider then switching to another potential fibre provider will not make the slightest difference if there is no capacity in the cabinet. Recently, in order not to lose our crappy ADSL connection whilst switching to fibre, we requested a new line to have fibre on and then we would switch afterwards. News – fibre not available on the new line. Serendipity – due a an order mix up our chosen provider converted our existing ADSL to fibre. It seems and existing line can have fibre without question but a new line cannot. BTW and BTO need breaking up NOW. 6-9 months is a load of rubbish. I and several of my neighbours have been waiting over a year for the cabinet to be upgraded since becoming “full”. BTO have just flat out refused to activate the cabinet that serves our commercial estate to fibre unless someone else will pay to activate the cabinet. Two years we have been trying. Disgusting. I am in the ludicrous situation of having Sky Fibre, wanting to move to BT Infinity, and not being able to because our cabinet is full!!!! Despite the fact one of those connections is me, there appears to be no way for me to change suppliers so I’m stuck paying more than I need to Sky. I live on a new-build estate and it seems someone saved some money by not installing a new cabinet but instead plugging us all in to one 3/4 of a mile away, so I only get something like 12mbps on FTTC anyway, my one hope is that this over-capacity leads to them installing a cabinet closer by, alghough I’m not going to hold my breath. That was extremely helpful as now I know why Sky cant upgrade despite giving me activation date and the conundrum of BT webpage which says cabinets are full but you can place an order. So I better accept my tried tested faithful Broadband is not going to be turbo charged for months if not years! Wish Sky & Open Reach had been more honest and open. Thanks folks. Never mind cabinets that are out of capacity, what about people whose cabinet is not fibre enabled, and where Openreach have decided for commercial reasons not to upgrade them for the foreseeable future. I do not live in Shetland or on the top of Mount Snowdon, no it is urban middle England, Leicestershire in fact. This company makes £ millions per year in profit, but somehow is allowed to connect brand new homes to archaic copper cable infrastructure. Utterly scandalous in my view, and equally scandalous is the lack of control of this virtual monopoly by both OFCOM and the Government. Very useful article there, thanks. Makes more sense now why i’m stuck with the option of 1.5Mb broadband in my new home rather than 40Mb fibre (cabinet at capacity). The only thing not mentioned in this article (that I noticed) is how do i request the expansion of the cabinet? Do they automatically try and upgrade all of the ones at capacity or can i speed up the process by kicking up a fuss somewhere?